A leading managed print services firm is preparing to showcase its products during a tour of the Islands and Western Isles this week. Xeretec which is a leading integrator of digital print hardware, software, solutions and services in the UK and Ireland, will start its Islands Road Show in Lerwick, Shetland on Tuesday 7th and Wednesday November 8th. The tour will then move to Kirkwall, Orkney on Thursday 9th and Friday 10th November, before stopping off in Stornoway in the Western Isles on Wednesday 15th and Thursday 16th November. The firm established its Inverness office in 2002, and first visited the Islands 15 years ago. Today it supplies Xerox technology and print management solutions to a significant percentage of companies in the area, in sectors including solicitors, accountants, builders, manufacturers, shipping, fishing and tourism, leisure and local authorities. Xeretec has seen its Highlands and Islands team increase from 10 to 21 employees, with staff now based in Inverness, Elgin, Caithness, Orkney, Shetland and the Western Isles. 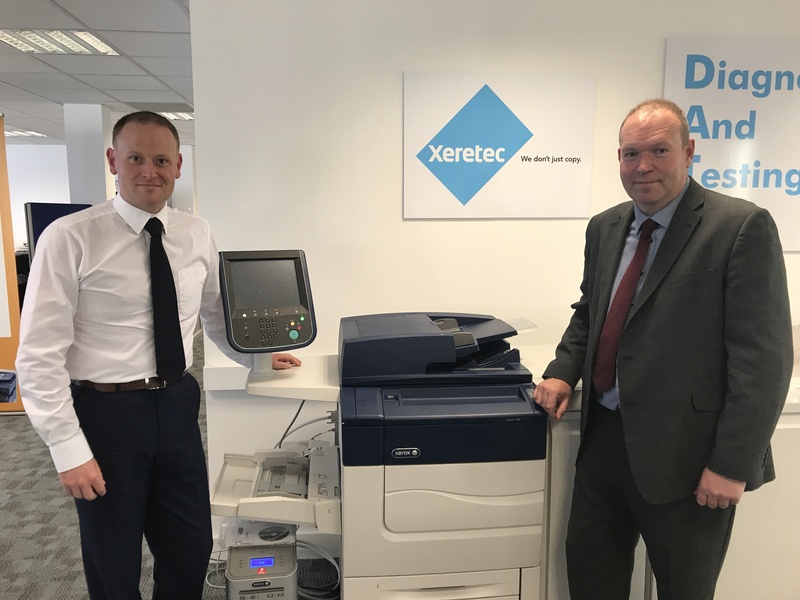 Regional Manager, Mark Lynam and Territory Manager, Andrew Lloyd, work together to ensure clients are given a personal service, visiting the Islands regularly to ensure that their print solutions are in line with their changing business requirements. Local engineers from Xeretec are also based on the Islands to service devices, ensure fast response times and provide an efficient and reliable service all year round. The firm will showcase a number of new devices during the road shows including the new Xerox AltaLink and Xerox VersaLink devices. The new portfolio transforms traditional printers into smart connected workplace assistants designed to meet the needs of the evolving workplace, complete with tablet-like touch screens, productivity boosting apps and state-of the-art security. The devices are also mobile and Cloud ready for extra convenience. The company will also be showcasing document management software to help people improve workflow in their business.